Imagine life as an orphan, surviving with another companion in the streets for 8 years. Poppy tries her best to survive with another girl, Rosie. The story is about an abandoned girl waiting for her mother to eventually come back, but she then realizes that the person closest to her was more important than her mother. In the short story, the short story chronology unfolds into four different sections as the time moves on. Throughout my short story, I used various figurative language (e.g. imagery. Simile, and metaphor) to help create an image that helps develop the setting, mood, characterization, conflict, motif, and theme. As you can see, the exposition of the story starts off with a flashback. It’s a memory of Poppy’s childhood when she was a little girl abandoned on the streets. During the flashback, the connotation of “rain”, “puddle”, “haze”, and “smog” described the setting as well as the mood. The purpose of the mood was for the reader to understand that this moment was a devastating memory of her childhood and it affected Poppy, by giving her anxiety and negative thoughts in her head. As she waits for her parents to come back, “The rain fell in heavy, each drop hitting her umbrella like a drum.” Using a simile to compare the raindrops to the sound of a drum. “Yes dear, here have this cookie, you’ll be hungry soon.” Jenny smiled softly from behind a curtain of silver-blonde hair, handing her the warm chocolate chip cookie. “We’ll come back,” her father, Charlie said kissing her on the forehead. “We promise,” her loving mother looking into her and touched her soft, delicate face. She took a bite out of her cookie, and watched the crumbs tumble down her sunflower dress and into a puddle. The rain fell in heavy, each drop hitting her umbrella like a drum. She took another bite of the cookie, and it was cold. “Cookies! Cookies! Chocolate chip cookies for $2,” Poppy shouted into the megaphone. The sun was shining on her naturally curly hair sitting on her shoulder, it was even lighter than it already was. She looked just like her mother, or so she thought. She could only remember her silver-blonde hair, but it was a blurry memory. Her hair matched her pale skin, but she always looked sick. It was unusual for the sun to shine so brightly, since it was mid-September, and golden red leaves falling to the ground. Poppy set her cookie stand in the middle of the street of, exactly where she was standing when she was looking into her reflection in the puddle. But that was years ago, it felt like a memory of a dream instead of the past. Seeing the kids opening the doors wide open, laughing and holding hands, finding their mother and going to ballet classes. She had mix feelings about it, didn’t know if it made her smile to see them happy, or mad because she never had that memory of her own. She looked down at her her shadow, the sunlight hitting her back. She shook her head and ignored all the thoughts in her head and continued on selling her cookies. She needed the money to continue to live her life as an orphan. Poppy stood there for hours, waiting for someone to come by and buy a cookie, but no one did. Not a single person. But why? Who didn’t want a piece of warm chocolate chip cookie melting in their mouth during an afternoon on a breezy day in fall? The sun was starting to set, and little droplets started to fall from the sky. Poppy looked up into the grey cotton clouds as the rain started to fall on her face. She hurriedly packed her cookies back into a container and her cookie stand and ran to the nearest shelter. She opened a random shop door and went in, hoping she wasn’t soaked in rain. “Just walk around and see what you can find,” Rosie yelled over the drumming noise of the heater, as she was counting the money in her hands. “Hey Rosie, it’s me,” Poppy said as she was taking off her beanie and setting it on the counter. Rosie was always there for her, she was like Poppy’s old sister. Whenever she was crying she would hug her and tell her stories. Her comforting lullaby voice always made her feel safe. She would sing to her, and make her laugh. Even though it was hard surviving without an adult, Rosie always seemed to make everything work out. She got a job in a convenient store down the street. Each day, the owner would give her $8 daily salary. It felt like millions of dollars to both of the girls. They would buy a $2 burger set and they would share it for lunch and dinner. They would buy a pack of cookies for $6 dollars and sold them for $2. The two of them were like two peas in a pod, they always stayed together and that would never change. 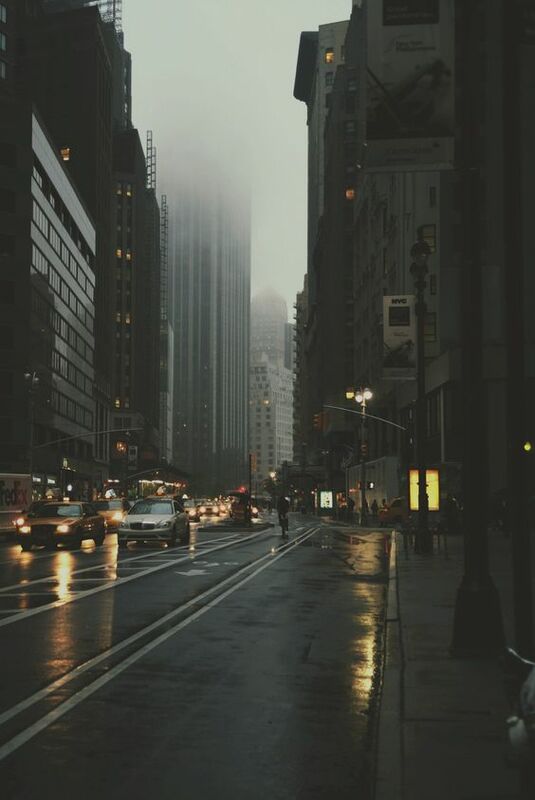 She remembered jumping into puddles, catching raindrops, and counting the number of yellow cabs passing by them on rainy days. Poppy was happy when she was with Rosie, yet every night she would cry. “I-I want m-my pa-parents,” Poppy tried to breathe, but it was hard when she was crying and talking at the same time. “Poppy please, I need to work tomorrow, we both do. Just go to sleep okay?” Rosie was exhausted after a whole day of working in the store. She needed to sleep so she would have the energy to work tomorrow. Poppy crawled into the torn sleeping bag they had found in the dumpster. They were lucky enough to find a blanket to keep warm during the night. Rosie hugged Poppy was tight as she could, keeping each other warm and making sure Poppy wouldn’t catch a cold during the night. They had found a dumpster in an alleyway and build a fort with used, torn pillows. The rusty dumpster was used to block the wind and cover them from the outside world. Every day, they would wake up to the sound of the dumpster truck driving closer and closer. It was normally 6 A.M. in the morning and they would tidy up their space and get ready for a new day. They would go into the convenient store and microwave the cookies, so the chocolate chips would melt into the cookie. Waiting for the chocolate chips to melt, memories of Poppy’s parents moving around and around like a horse on a carousel in her head. Sometimes, she would tilt to the side and fall on the ground and stay there until Rosie came and woke her up. It was dangerous for Poppy to think about her parents, anything could happen to her if she fell on the streets. “What! What am I looking at?” She looked at Poppy with her olive green eyes, trying to figure out what she’s looking at. “That lady with the blue sweater!” Poppy pointed straight ahead and Rosie’s eyes following her finger. “Me? No, of course not,” trying her best not to sound like she was lying. “Thank god, I hate it when you’re mad at me,” Poppy placed a hand on her heart, relieved that Rosie wasn’t mad. “Wait a minute, that lady is coming over!” She gasped as she saw the blue sweater lady crossing the street. Her heart began to be faster and faster, her breath was deeper, and her hands closed together. She could feel her nails biting into her hand, she ignored the pain and watched the lady walk closer. Noticing her braided hair to her side, and her black sunglasses covering the top half of her face. She remembered seeing the exact same braid before. Her mother in the bathroom, humming a song while looking into the mirror and braiding her hair. Poppy, lost her balance and nearly fell to the ground. When she got her balanced back and looked up she saw her. The same blue sapphire eyes and silver-blond braid hair was standing right in front of her. Is that really my mother? Why is she finding me now? “Poppy?” the lady whispered. Poppy’s eyes grew bigger, she couldn’t imagine after all these years, her mother is right in front of her. Is this a dream? She pinched herself on the hand, the pain punched her. This can’t be real. Her mother hugged her, crying and saying her name. “Sure,” Poppy had waited for this moment for her entire life, and finally her wish came true. Rosie couldn’t take it anymore, she could never imagine Poppy leaving her after all she has done for her. All the memories they had, all the things Rosie sacrificed for Poppy, and in return Poppy abandons her? Rosie wasn’t going to let this happen, she couldn’t. She was furious, the fire in her started to rise, all the anger in her built up, she felt like crying because she regretted all the things she had done for Poppy. Crash. She backed away from her mother and turned her head to the noise, cookies flew through the air, hitting the ground, and Rosie running away. “Rosie! Where are you going?” She screamed at the top of the lungs, covering her mouth with her hands and her voice echoing. But she kept on running. Oh no, oh no, oh no, what am I going to do! Her fingers were pulling her hair, trying to figure out a way to bring Rosie back without leaving her mother. She couldn’t run and catch up with Rosie because she would leave her mother. But Rosie…How could she ever leave Rosie? The girl who was always there for her for 8 years, who took care of her, and kept her safe during the night. Rosie was the only person how was the closest to her, not her mother. The lady who abandoned her, but why did she come back? Why now, at this moment? I wish I could stop time. But she knew that was impossible. It’s now or never. She took a cookie from the table and ran, never losing sight of Rosie. Looking down at the cookie still in her hand, she followed Rosie down the blocks. Apologizing people for pushing them, finding a way to run around the crowds, she couldn’t lose Rosie, if she did her world would end. She jumped up and down, finding for Rosie, looking for a grey hoodie, but she couldn’t see anything. She ran down the streets, looking west to east. Which way did she go? She circled around the block, trying to find Rosie. The clouds were angry and turned grey, raindrops started to fall from the sky, but Poppy didn’t stop running. She ran to the dumpster to check if she was home, but no one was there. She circles around the block again, but she was nowhere to be seen. Poppy was worried sick, hoping that she was okay. Tears and raindrops fell down her face, she slapped herself in the face hard. You stupid, selfish girl. Stop thinking about your parents and care of Rosie for once. She regretted the moments when she talked about her parents to Rosie. She needed Rosie more than anyone else. Poppy turned around and head back to the cookie stand, still holding the cookie in her hand. Whenever she was sad, Rosie would always try to find a cookie to cheer her up, to remind her that one day her parents would come back, and they did. But right now, she need Rosie to come back. Poppy sat next to the cookie stand, sitting on the sidewalk, and rain falling down on her. She couldn’t tell if it was tears or rain running down her face, but she was mad at herself. She had lost her mother and Rosie today. This was all your fault, it wouldn’t have happened if you listened to Rosie and stopped worrying about your parents. She covered her face with her hand, it was harder to breath, but she didn’t care. She sat on the sidewalk for minutes that felt like an eternity. She was tired from running and chasing after Rosie, she wanted to sleep on the streets, and pretended everything that happened today was all a dream. All of a sudden, she felt a tap on her shoulder. Poppy lifted her head from her arms, her eyes still squinting. She saw a figure of girl and a cookie in her hand. She rubbed her eyes and looked up. “I promise I won’t. Hey, where’s you mother?” Rosie pulled away from Poppy, and whipped the tears away from her face. “I don’t know, when you ran away I chased after you and left my mom,” She looked down on the ground at the cookies, trying not to cry again. “I’m Sorry, I know how important your mother is to you,” Rosie handed her the cookie and tried to give her a comforting smile. Poppy took a bite out of the cookie and smiled back. Every time she received a cookie from Rosie, everything gets better.